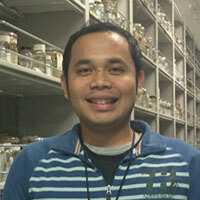 Ambariyanto is a marine scientist at Diponegoro University, Semarang, Indonesia. 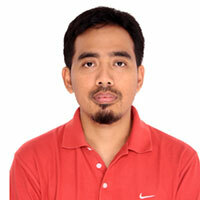 He is currently the head of Integrated Laboratory of Diponegoro University (http://labterpadu.undip.ac.id/). He has been collaborating closely with Paul Barber since 2005. His research interest is mainly on marine endangered species, coral reef and mangroves rehabilitation, conservation and biodiversity. He also has been working with coastal communities along north coast of Java Island, as well as related government agencies and NGOs. 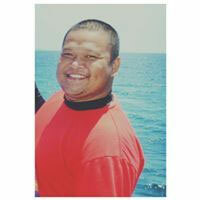 Aji is the Program Coordinator at the Indonesian Biodiversity Research Center in Bali, Indonesia. 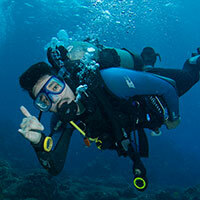 He holds an MSc and has a background in coral physiology and conservation sciences. In the last seven years Aji has gained experience carrying out research in coral reef resilience, and working for NGOs, which has involved encouraging Indonesian people and tourists to understand conservation issues. In the past two years Aji has been increasingly involved with the IBRC and is working as a lab manager, involved in various research project. In September 2015 he will embark on a new journey as a PhD student in Paul Barber’s lab at U.C. Los Angeles, in the USA. 4) Marine conservation. Barber’s educational activities include formal lecture/lab based courses for undergraduate and graduate students, research experiences for undergraduates, graduate training, and international scientific exchanges. 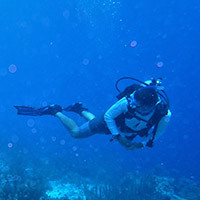 In particular, the PIRE grant helps support The Diversity Project, a 10-week educational program designed to increase participation of under-represented minority students in the biological sciences through an integrated research experience that combines field work on the diverse coral reefs of the Indo-Pacific with cutting edge molecular genetic research. 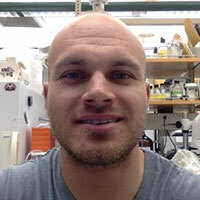 Sean is currently a graduate student in the laboratory of Dr. Forest Rohwer. He is interested in viral and microbial communities across diverse habitats, ranging from the human gut to coral reefs. Sean retrieved and processed ARMS from Pulau Seribu and Bali, Indonesia. He has trained Indonesian students on marine molecular biology techniques associated with ARMS. As a recent graduate from McGill University and a world-traveler, Shannon’s main interests have always been in ecology and conservation. 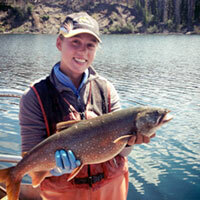 For her undergraduate thesis she studied the impact of hydroelectric dams and water level fluctuations on lake fish communities in the U.S. and Canada. After graduating in June 2014 with a B.Sc. in Environmental Biology and Applied Ecology, Shannon worked for the National Park Service in Yellowstone National Park in the Summer/Fall 2014 on their lake trout removal project. In preparation for her graduate education she has shifted her focus towards coastal ecology and is now an intern in the Invertebrate Zoology department at NMNH. Over the coming months Shannon will be investigating community organization of Indo-Pacific sessile invertebrates using NGS before continuing on for my M.Sc. in Coastal Resource Management at UC Santa Barbara in Fall 2015. 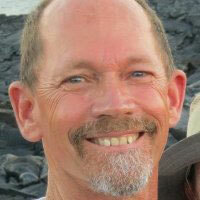 Dr. Rusty Brainard is the Chief of the Coral Reef Ecosystem Division at NOAA Pacific Islands Fisheries Science Center. This 60-member interdisciplinary, ecosystem-based research program conducts long-term monitoring, ecosystem observations and applied research of the coral reefs of the U.S. Pacific Islands to support ecosystem-based management and conservation. Rusty’s team monitors the distribution, abundance, diversity, and condition of fish, corals, other invertebrates, algae, and microbes in the context of their diverse benthic habitats, and changing ocean climate conditions. Rusty has also served as NOAA’s Technical Lead for the US Coral Triangle Initiative’s Ecosystem Approach to Fisheries Management (EAFM) theme since 2010, which provides technical capacity building for the CTI on Coral Reefs, Fisheries, and Food Security and helps to address the threats facing the marine resources of the most biologically diverse and ecologically rich regions on earth. Dita is a PhD student in Paul Barber’s lab at UCLA and is supported by a Fulbright Scholarship. Her research background is in marine biodiversity research, phylogenetics and connectivity. She has interests in evolutionary processes and using molecular techniques to support direct management and conservation. For 5 years she has been involved in the IBRC as a research coordinator during which time she was active in several research projects such as sea turtle genetics, phylogenetics of reef fish, seagrass population diversity, and a shark barcoding project. She received her B.S in Biology from Gadjah Mada University, Jogjakarta and holds a M.S in Environmental Science from Udayana University, Denpasar, Bali. Eric Caldera is a Smithsonian postdoctoral research fellow on the PIRE grant. He is interested in microbial evolutionary ecology and is exploring the spatial dynamics of marine microbial diversity in the Coral Triangle biodiversity hot spot. Eric’s Ph.D. research at the University of Wisconsin – Madison focused on coevolution and population genetic structure among fungal and bacterial symbionts of fungus-farming ants in neotropical rainforests. While currently focused on microbes, Eric has also worked with invasive fire ants, argentine ants, and threespine stickleback. Eric’s teaching experience includes Microbial Ecology, Evolution & Diversity (UW-Madison) and Introductory Biology, Advances in Microbiology (California State University – Fullerton). Eric received his B.S. (Biology) from the University of Texas at Austin. 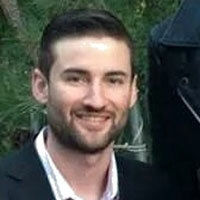 Dr. Jordan Casey is a postdoctoral researcher on the PIRE grant. With a background in coral reef ecology and microbial ecology, Jordan currently utilizes molecular techniques to investigate marine biodiversity across biogeographical gradients. Her research includes the employment of ARMS to study global patterns of metazoan diversity, the collection of cyptobenthic fish communities to analyze niche partitioning, and fish gut content metabarcoding for the reconstruction of trophic interactions on coral reefs. For these projects, Jordan has conducted research in Indonesia, French Polynesia, Costa Rica, Panama, and Belize, and she also works with Indonesian students on the PIRE grant. 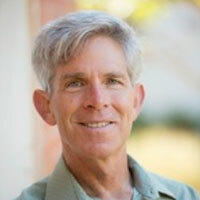 Dr. Allen Collins is a research zoologist with the National Systematics Lab of NOAA’s National Marine Fisheries Service. He also serves as curator for medusae and glass sponges in the Department of Invertebrate Zoology at the Smithsonian's National Museum of Natural History. 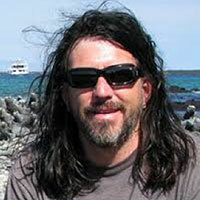 He collaborates widely on studies focused on the evolutionary history of cnidarians (jellyfishes, hydroids, corals, etc. ), sponges, and other invertebrate animals. His work often involves the generation and use of phylogenetic hypotheses (aka evolutionary trees) to better understand how the amazing biodiversity of these groups -- in terms of morphology, life history, and genetics – has come to be. 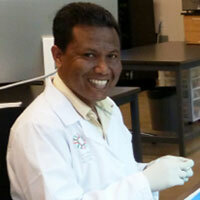 Allen works with specimens collected from all over the world with his active lab group and collaborators. Dr. Jonathan Geller’s lab is broadly interested in the evolutionary ecology of marine invertebrates, with two major foci: ecological genetics of biological invasions and molecular studies of biodiversity (spatial patterns and functional ecology). His lab group uses genetic methods to detect invasive species in coastal environments, to investigate population genetic relationships among native and introduced populations, and to study cryptic species complexes in native and introduced assemblages. In the PIRE project, his lab group’s primary role is to examine patterns of species diversity in the Coral Triangle, with focus on the hierarchical nature of diversity (from microbes to metazoans) and spatial gradients of longitude and anthropogenic stress. In addition, they are interested in interspecific interactions in these systems and how those interactions depend on local species composition. Zachary Gold is a PhD Candidate at UCLA in Professor Paul Barber’s lab researching the effects of multiple human stressors on marine ecosystems using novel environmental DNA (eDNA) techniques. 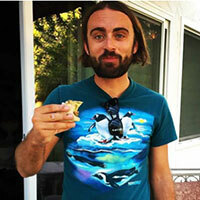 The main focus of his PhD is to use novel eDNA tools to comprehensively survey marine biodiversity inside and outside of Southern California’s marine protected area network in order to understand how different management strategies like the size and strictness of regulations effect marine biodiversity. 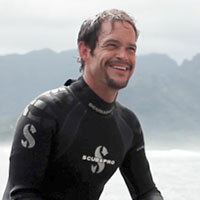 He has a background in coral reef research and marine policy, and is interested in the intersection of research and policy, with a focus on understanding the interplay of local (pollution, overfishing, habitat destruction) and global (climate change and ocean acidification) stressors on marine ecosystems. He received a B.S. in Marine Biology with Honors from Stanford University in 2015. As an avid underwater photographer, former California State ocean lifeguard, and surfer growing up in Santa Monica, Gold has a deep passion for the marine environment and its protection from environmental impacts. 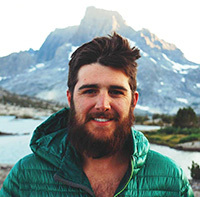 He is a Udall and NOAA Hollings scholar, NSF Graduate Research Fellow, and a National Geographic Young Explorer. 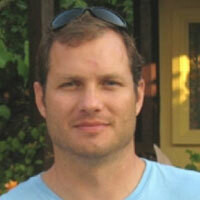 Kevin Green is a recent Masters graduate from the laboratory of Dr. Forest Rohwer. He is interested in stem cell dynamics in scleractinian coral and the possible future applications for their use in coral reef restoration. His work focuses on identifying epigenetic processes, DNA methylation and chromatin remodeling, in selected scleractinian cell populations isolated via FACS. Emmet is a masters student in Dr. Jon Geller's invertebrate zoology and molecular ecology lab at CSU's Moss Landing Marine Laboratories, in his first year with the PIRE project. His background includes work in molecular microbial ecology as well as work as a deckhand, an interpreter and in various volunteer capacities related to marine science and education. 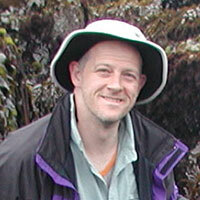 His research interests involve molecular approaches to questions in ecology and evolution. 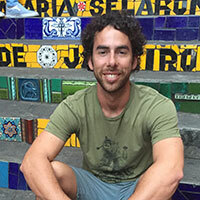 Dr. Aaron Hartmann is a postdoctoral researcher on the PIRE grant and joins the program with a background in coral reef ecology and organismal biology. As a PIRE postdoc, Aaron is studying how coral reef organisms interact with one another, particularly with respect to the molecules they produce in response to stress or as chemical defense strategies. By combining controlled laboratory interaction studies with ARMS sampling from the natural environment, Aaron seeks to identify ecological principles underlying organisms’ metabolomic response to interactions. Aaron also acts as one of the instructors for the student summer course and co-organized the metagenomics course at SDSU. Amanda is an alumna of UCSC (BS in Marine Biology) and is currently pursuing a masters in Dr. Jon Geller's invertebrate zoology and molecular ecology lab at CSU's Moss Landing Marine Laboratories. A passion for travel has dovetailed nicely with her interests in ecology, zoology, and global diversity, allowing her to focus on a variety of species and to conduct research along a broad spectrum of environments including California, Australia, South Africa, Indonesia, Thailand, and Central America. In addition, she considers education to be a fundamental agent of change and has worked as both a tutor and a docent to draw attention to the relevant issues facing the world's oceans. 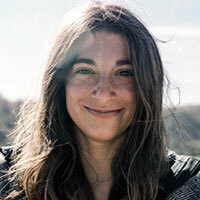 As a new member of PIRE, she aims to use ARMS as a way of assessing ecosystem composition and health while utilizing new molecular techniques to inform science, international education, and policy. 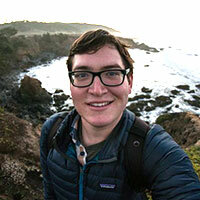 Eric is currently a graduate student in Forest Rohwer's lab at San Diego State University using metagenomic approaches to study marine microbes and their ecological roles. His broadest interests include identifying and characterizing host-microbe interactions and how these interactions are meaningful on different ecological scales. He is currently involved in trying to understand the relationship between the diversity of chemicals, microbes and macrobes in ecosystems. Eric have participated in fieldwork in Indonesia as well as aided in the instruction of the marine biodiversity course taught during the summer. He has also instructed students on bioinformatic tools and techniques in order to address specific hypothesis related to student projects. Jennifer is a second-year masters student in Dr. Jon Geller's invertebrate zoology and molecular ecology lab at CSU's Moss Landing Marine Laboratories. 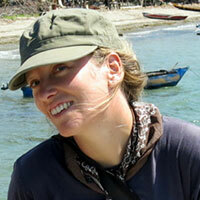 Her research interests are blend of ecology, physiology, evolution, and conservation. Regarding PIRE, Jennifer participated the biodiversity course and ARMS field work in Indonesia in 2013. For her thesis she will be studying the diversity and functional roles of bacteria associated with non-coral sessile invertebrates (ascidians, bryozoans, sponges) as part of the more comprehensive PIRE biodiversity assessments along anthropogenic stress gradients. Using a metagenomic approach, Jennifer and colleagues intend to provide insights regarding the relevance of these associations to invertebrate host physiology, ecology, and health. Dr. Nancy Knowlton has devoted her life to studying, celebrating, and striving to protect the multitude of life forms in our oceans. 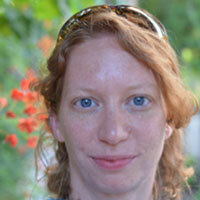 Her research focuses on understanding the diversity, ecology and evolution of coral reef organisms. She has worked on the coral reefs of Panama and Jamaica, the Cape Verde Islands, the Indian Ocean, Brazil and throughout the Caribbean and her analyses have led to widespread recognition that estimates of marine diversity are probably too low by a factor of ten. Nancy is the Sant Chair for Marine Science at the Smithsonian’s National Museum of Natural History and was a scientific leader of the Census of Marine Life. She founded the Center for Marine Biodiversity and Conservation at the Scripps Institution of Oceanography in California and is the author of Citizens of the Sea. She is a recipient of the Peter Benchley Award and the Heinz Award for her work on biodiversity and conservation; in 2013 she was elected to the National Academy of Sciences and the American Academy of Arts and Sciences. 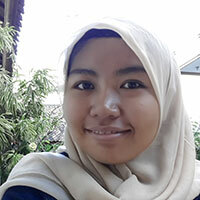 Eka Maya Kurniasih is currently a graduate student at Diponegoro University and a Junior Research Fellow of the Indonesian Biodiversity Research Center (IBRC). She is working on a phylogenetic study of reef fishes, marine biodiversity inventory through DNA Barcoding, decapod biodiversity study using dead coral heads in Indonesia, and the Autonomous Reef Monitoring Structures (ARMS) project across the Indonesian Archipelago. Specifically she is interested in using various genetic approaches to answer questions on how genetic biodiversity is dispersed throughout Indonesia and using molecular techniques to support direct management and conservation in Indonesia. Eka has been involved in the summer field course and carried out an internship at the Smithsonian NMNH, University California Los Angeles, and San Diego State University for 3 months in 2013/2014. The activities which were funded by USAID allowed her to learn more about DNA barcoding and Next-Generation Sequencing techniques. Mark is currently a graduate student in Forest Rohwer's lab and his research focuses on elucidating the microbial and viral roles associated with coral reef benthic competitive interactions using metagenomic and metatranscriptomic data from coral and algal interaction zones. These data will help shed light on the functional role of viruses and microbes in ecological succession in coral reefs as well as associated biogeographical trends. Mark has conducted field and lab work involved with the PIRE-ARMS project in Indonesia, as well as other work in the Chesapeake Bay, the Caribbean, and the Pacific. Hawis Madduppa is the head of Marine Biodiversity and Biosystematics Laboratory at the Department of Marine Science and Technlogy Bogor Agricultural University (http://ipb.ac.id/, http://marine.ipb.ac.id/). His research interests are related to marine biodiversity and conservation, dispersal and connectivity of marine environment, ecology and biology of marine fish, population genetics (phylogeography), biosystematics, fish habitat rehabilitation, and using fish as biological indicator. He is participating in the project entitled Assembly of Marine Biodiversity Along Geographic and Anthropogenic Stress Gradients, by deploying Autonomous Reef Monitoring Structures (ARMS) to measure marine biodiversity gradients across the Indonesian Archipelago, especially in the Kepulauan Seribu, Jakarta. 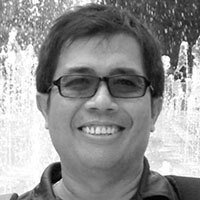 Gusti Ngurah Mahardika is currently the head of Indonesian Biodiversity Research Center of Excellence of Udayana University Bali Indonesia (http://www.unud.ac.id; http://www.ibrc-bali.org). His lab is the hosting lab of NSF and USAID projects lead by Kent Carpenter, Paul Barber, and Forrest Rohwer since 2010. 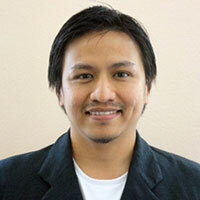 His research focuses on animal and microbial molecular diversity. 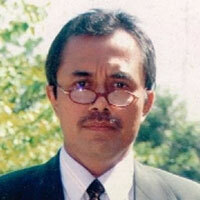 His research is accessible at Scopus Author ID 6503977071; ORCID ID: http://orcid.org/0000-0001-5525-0793; Google scholar; researchgate https://www.researchgate.net/profile/Gusti_Mahardika. 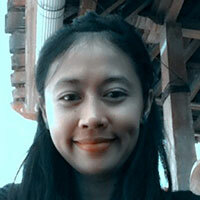 Angka Mahardini is currently a junior research fellow at the Indonesian Biodiversity Research Center. 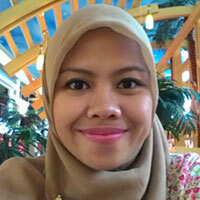 She has been studying Marine Science since 2006 as an undergraduate student at Diponegoro University, Central Java. She has participated in coral reef monitoring activities and has studied soft coral aquaculture for her undergraduate research. Angka’s main interest is the biology of reef fishes and hermit crabs. For PIRE, Angka has been involved in the summer field course and carried out an internship at the Smithsonian NMNH for 6 months in 2013/2014. She participated in ARMS recoveries in Bali, in 2013 and 2014 and is currently learning molecular techniques for studying population genetics, phylogenetics of reef fishes and biodiversity of marine invertebrates. Onny joined Paul Barber’s lab at UCLA as a master student in 2016 funded by a USAID PRESTASI Scholarship. His current research focuses on using environmental DNA (eDNA) to ascertain the distribution and diversity of marine fishes across Indonesia and test the efficiency of employing eDNA methods on time-series biodiversity monitoring. Since 2010, Onny has worked as a marine biologist in the Research Center for Oceanography, Indonesian Institute of Sciences (LIPI). He holds a B.S. degree from Gadjah Mada University, Indonesia. As a research zoologist and marine invertebrate curator at the Smithsonian's National Museum of Natural History, Dr. Chris Meyer’s passion for biodiversity takes him to remote places around the globe. He is particularly interested in marine speciation, diversification, biogeography and phylogeography, as well as the history, assembly and maintenance of tropical reef communities. Chris’ work is helping to document marine biodiversity, figure out how ecosystems function, and predict how they will respond to change. Chris is the Director of the Moorea Biocode Project, a massive undertaking to build a comprehensive inventory of all non-microbial life on the French Polynesian island, sampling from the mountain tops to ocean depths. He is also one of the founding members of the Genomic Observatories Network. 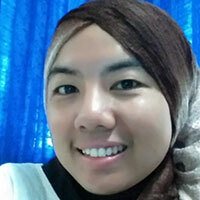 Ni Putu Dian Pertiwi is currently a Research Fellow in the Indonesian Biodiversity Research Center. Her research focuses on the population genetics of commercial fishes and phylogenetics of reef fish. She is also interested in studying invasive species in marine environments using metagenomic approaches. Dian conducted an internship at UCLA for 6 months in 2013/2014 and 4 months in 2015, both focusing on learning Next Generation Sequencing Methods (Multiplexed Sequence Capture and 2b-RAD Methods) in order to assess the stock population and evolutionary history of reef fish. Dr. Emma Ransome is a postdoctoral researcher on the PIRE grant. With a background in marine microbial ecology, Emma is studying the relationship between microbial, metazoan and functional diversity on ARMS from across the Pacific. Using ARMS across biogeographical and anthropogenic stress gradients, she hopes to elucidate the ecological roles of invertebrate-associated microbes and establish their importance in maintaining ecosystem function. She has tested field protocols and improved bioinformatics pipelines to allow ARMS to be used for global comparisons of coral reef diversity. Emma has participated in fieldwork in French Polynesia and Papua New Guinea, co-organized the metagenomics course at SDSU and supervises Indonesian and U.S. project students working with PIRE. Brandon Reyes is a researcher working at the Rohwer-Wegley microbiology laboratory, where he uses genomic tools to study the role of Flavobacteriia in the degradation of coral reefs. 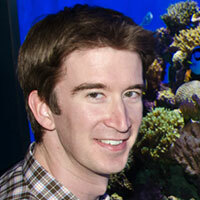 His interests include the role of microbes in coral reef macroalgal phase shifts, as well as coral pathogens. He’s an avid aquarist that has designed and maintained several large aquaria used in advanced experimental units that study microbial processes of the coral reef. His previous positions include working the U.S. Geological Survey as a hydrologist and with the National Oceanic and Atmospheric Agency expeditions as a microbiologist. Dr. Forest Rohwer’s lab focuses on a range of topics from coral reefs to the lung of cystic fibrosis patients to bacteriophage-bacteria dynamics. In the PIRE project, his research group is focused on understanding the interactions between the microbial world and coral reefs, and how these systems change following perturbation. Being a marine microbial ecologist, Forest sees a coral reef as a finely-tuned community in which the microbes and viruses are major players. Recognizing their importance, he pioneered the use of metagenomics as a means to characterize these previously inscrutable organisms and to investigate their role in coral reef health and disease. Rohwer’s lab continues to advance the use of these tools to understand the critical role of microbes and viruses on coral reefs. Emily is currently a graduate student at Moss Landing Marine Laboratories studying invertebrate zoology and molecular ecology. In Indonesia she took part in the ARMS fieldwork and biodiversity courses in collaboration with the other members of the PIRE project, and subsequently became more interested in coral reef ecology and species interactions. Emily’s research focuses on the microbiomes of coralivorous gastropods and their host corals. For her thesis, conducted on the islands of Moorea and Tetiaroa, French Polynesia, she is investigating the degree to which microbiomes are shared between a host and its epibionts. 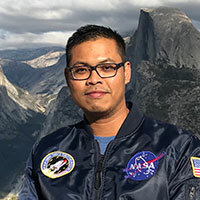 Andrainus is a Junior Research Fellow in the Indonesian Biodiversity Research Center in Bali, Indonesia, and a Masters student of Costal Environmental at UDAYANA University. His research focuses on population genetics and DNA barcoding of Sharks and also genetic phylogeny and phylogeography of coral reef fishes. For PIRE, Andrianus has been involved in the summer field course and carried out an internship at the Smithsonian NMNH for 6 months in 2013/2014. He has also deployed ARMS across the Indonesian archipelago, and participated in ARMS recoveries in Bali, in 2013 and 2014. Beginer Subhan is currently the Head of the Scientific Diving Laboratory at the Department of Marine Science and Technology Bogor Agricultural University (http://ipb.ac.id/, http://marine.ipb.ac.id/). His research interests are related to coral diseases, coral reef ecology, marine ecosystems restoration and rehabilitation, marine biodiversity and conservation, population genetics (phylogeography) and biosystematics. He is participating in the project entitled Assembly of Marine Biodiversity Along Geographic and Anthropogenic Stress Gradients, by deploying Autonomous Reef Monitoring Structures (ARMS) to measure marine biodiversity gradients across the Indonesian Archipelago, especially in the Kepulauan Seribu, Jakarta. 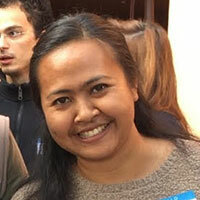 Yuliana Fitri Syamsuni is currently a research fellow at the Indonesian Biodiversity Research Center (IBRC) in Bali and co-founder of Biodiversitas Indonesia foundation (Bionesia) and SEA Venture. She obtained both of her bachelor and masters degrees in Marine Sciences at Bogor Agriculture University in 2001 – 2006 and 2009 – 2012, respectively. She specializes in marine ecology, and conducted research projects on sea turtle ecology studies for her thesis projects. Previously, she worked as a teaching assistant and course coordinator assistant in the Marine Science Department of IPB from 2008 until 2013. She has strong interests in research and education in the fields of marine ecology, marine conservation (especially sea turtles), marine biodiversity and phylogeography, genetic conservation, and microplastics. 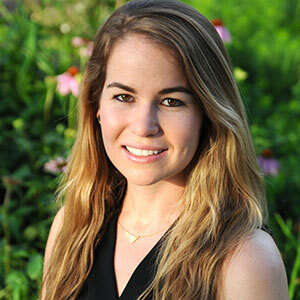 Molly Timmers is the Marine Ecosystems Research Project Manager for the Coral Reef Ecosystem Division of NOAA Fisheries by day, graduate student at the Hawaii Institute of Marine Biology by night. She leads NOAA’s ARMS efforts in the Pacific and has deployed and retrieved hundreds of ARMS during land and ship-based missions to the U.S. Pacific Islands and the Coral Triangle region. 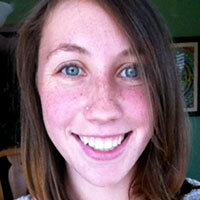 She is interested in what drives species distributions across spatial, environmental and habitat gradients. Abdul Hamid Toha is a lecturer at the Papua University (UNIPA) in Manokwari, West Papua-Indonesia (www.unipa.ac.id). Currently, Hamid Toha is leading of the Genetic Laboratory of UNIPA. This lab was built in 2010 in collaboration with Paul Barber from UCLA and Mark Erdmann from CI-Indonesia. Toha is studying a patterns of marine biodiversity, focusing in Raja Ampat and throughout Papua, in an effort to guide the sitting and spacing of marine reserves (http://ibcraja4.org/). Toha’s main research area focuses on the conservation genetics of marine organism in Bird's Head Seascape of Papua and Indonesia in general. 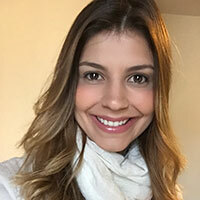 Helena is a PhD student at the Federal University in Rio de Janeiro, Brazil, working at the lab of Dr. Raquel Peixoto. 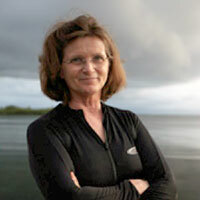 There, she works with the impact of oil pollutants and chemical dispersants on calcifying hydrocorals, developing biological approaches in order to 1) mitigate this type of marine contamination minimizing environmental damage, and 2) increase resistance and resilience of the hosts by the manipulation of their associated microbes. Last year, Helena spent 10 months as a exchange student in the laboratory of Dr. Forest Rohwer, developing new phage-related weapons against the coral pathogen Vibrio coralliilyticus. Helena is interested in phage and microbial communities present in seawater and associated with marine invertebrates - such as cnidarians and sponges - as well as in molecular biology, biochemistry and molecular microbial ecology. Dr. Amanda Windsor is currently a support scientist at the National Museum of Natural History. Her interests are primarily in decapod taxonomy and phylogenetics. 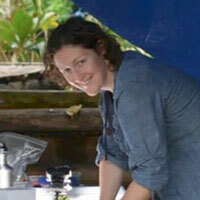 She has been involved in the ARMS recoveries as part of the marine biodiversity course in Bali, Indonesia. As part of the PIRE project, she will be assisting with generation of metabarcoding data and laboratory training of students visiting NMNH. 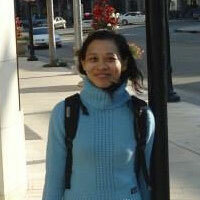 Astria is a Junior Research Fellow in the Indonesian Biodiversity Research Center. Astria joined the IBRC in July 2010. She obtained a bachelors degree in Veterinary from Udayana University Bali in 2009, then she continued her masters degree in the same field of science and at the same University in 2010-2012. She is interested in molecular ecology, phylogeny, biology and bioinformatics sciences. Her research focuses on molecular analyses for genetic identifications in the genus Paracheilinus. 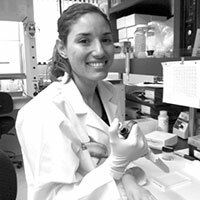 She is also developing research focused on coral head biodiversity and conducted genetic analyses of mitochondrial DNA of Acanthopleurinae (Polyplacophora) in 2009.